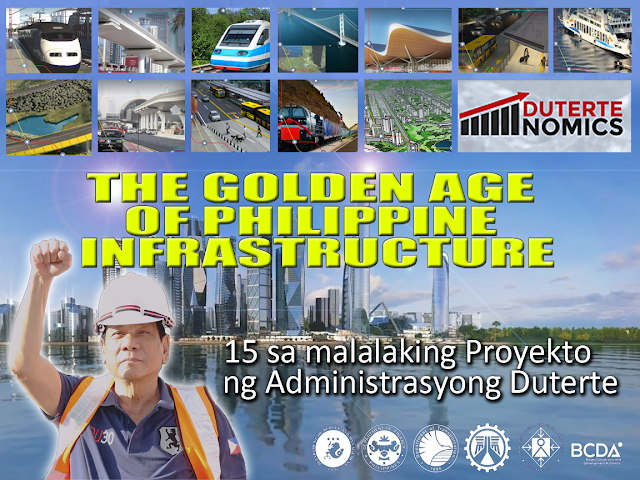 The Duterte Administration has finally launched the Philippines' Golden Age of Infrastructure! During the #Dutertenomics Forum last April 18, 2017, the President Duterte's economic team unveiled the administration's economic program. 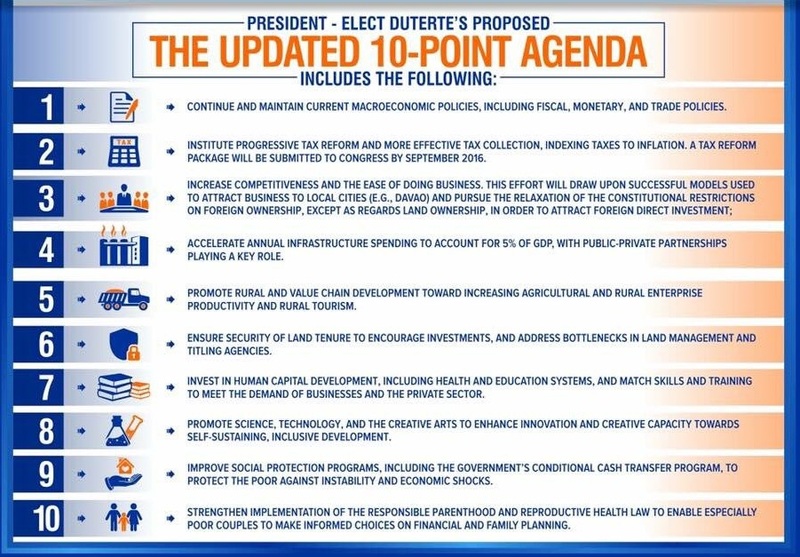 The forum showed the administration’s development plans and the ambitious infrastructure program that will be rolled out in the next six years – anchored on the president’s 10-point socioeconomic agenda that seeks to speed up inclusive growth and transform the economy into one that is also pro-poor. 4th on the President's agenda is the acceleration of Infrastructure spending. 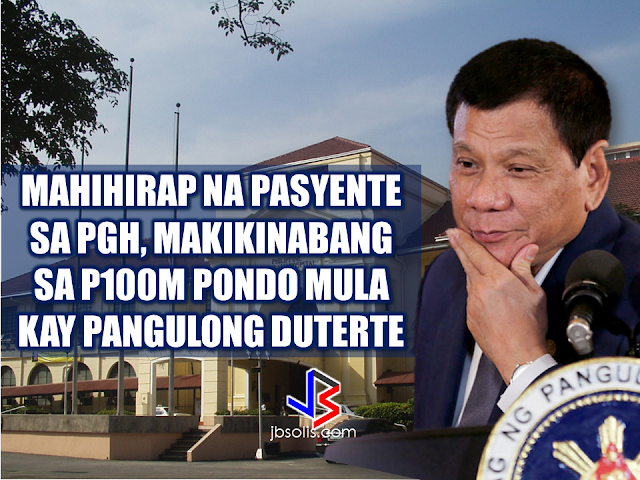 President Duterte clearly wants things done – but he also wants everything to be transparent, untainted by suspicions of graft and corruption. 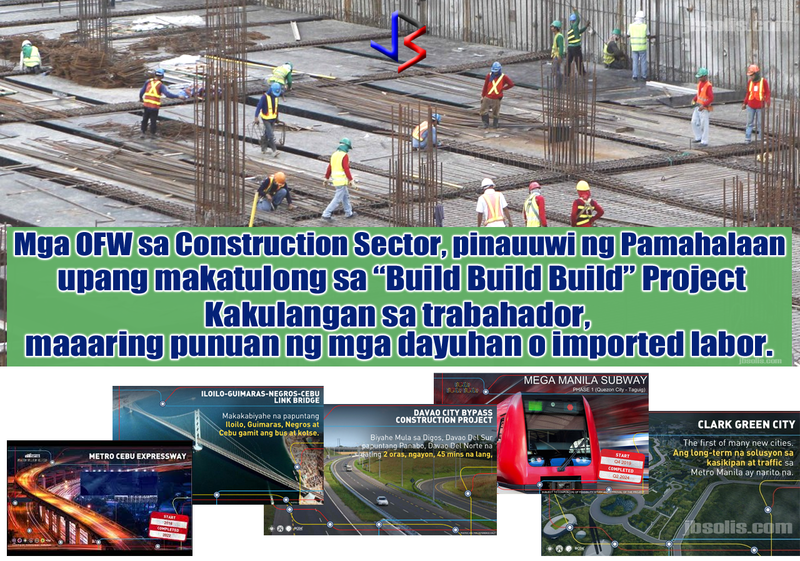 The newly launched website www.build.gov.ph is a transparency tool that people can access to check the status of these mega-projects. The economic blueprint – with its massive and very ambitious $160-billion infrastructure plan over the next six years – looks very promising. In the plan, there are 64 big-ticket infrastructure projects in the works. Sta. 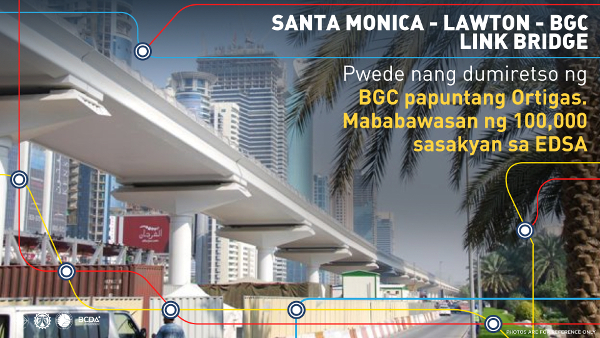 Monica-Lawton Bridge involves the construction of a 4-lane bridge across Pasig River and a 4-lane viaduct structure traversing Lawton Avenue onwards the entrance of Bonifacio Global City and the ramp before Kalayaan Avenue in the City of Makati. 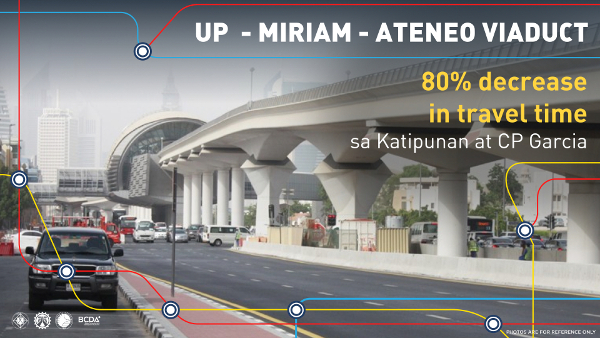 The total length of the projects is 961.427 m.
The UP-Miriam-Ateneo viaduct aims to reduce the travel time at Katipunan and CP Garcia. 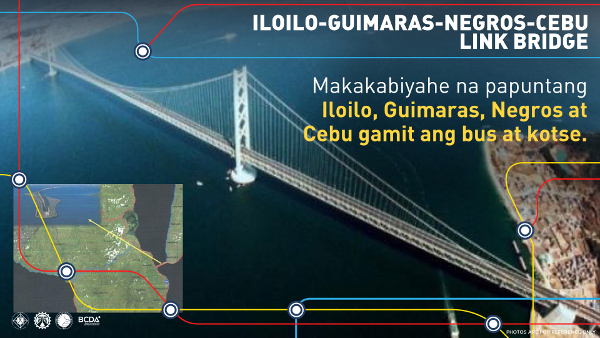 When completed, you can find it easier to travel to Iloilo, Guimaras, Negros and Cebu via a bus or car. Travel to Digos, Davao del Sur through Panabo, Davao del Norte will only be only 45 minutes instead of the usual 2 hours. The project involves the construction and operation and maintenance of a 8 km. 4-lane elevated expressway over the Philippine National Railway (PNR) right of way. It starts from C3 Road in Caloocan through Manila crossing Espana towards PUP, Sta. Mesa connecting Metro Manila Skyway Stage 3 (MMSS3). 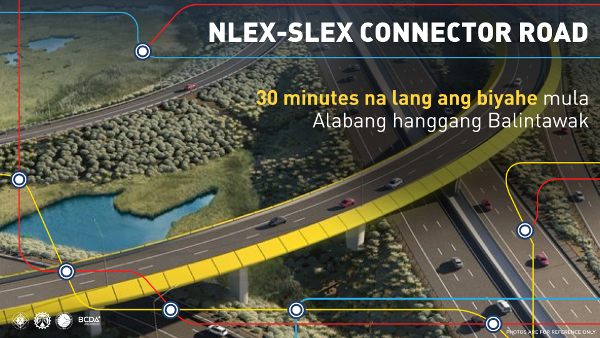 Once completed, the NLEX-SLEX Connector road is expected to decongest traffic in Metro Manila by providing an alternative to C-5 Road, EDSA, and other major thoroughfares, and cut the travel time between NLEX and SLEX to 15-20 minutes which today takes more than an hour. 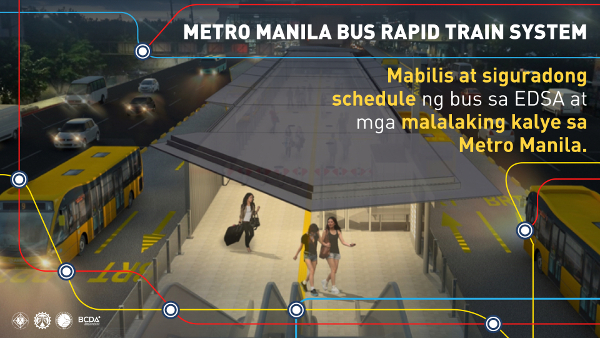 The Metro Manila Bus Rapid Transit (BRT) - Line 1 Project spans 12.3 kilometers from Quezon Memorial Circle (QMC) to Manila City Hall via Elliptical Road, Quezon Avenue, and Espana Boulevard. It is expected to serve 291,500 passengers daily in its first year of operations. 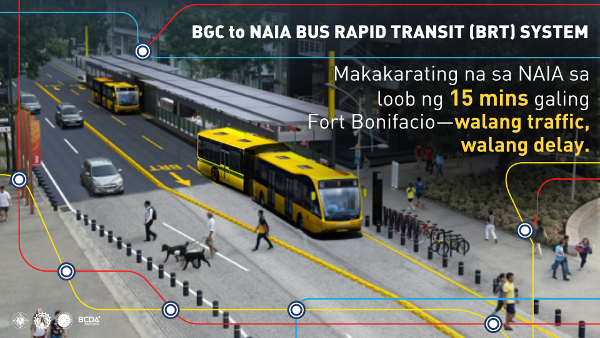 The EDSA BRT Line 2 is a proposal to establish and implement a 48.6-kilometer high-quality bus-based mass transportation system and a corresponding pedestrian and bicycle greenway network. 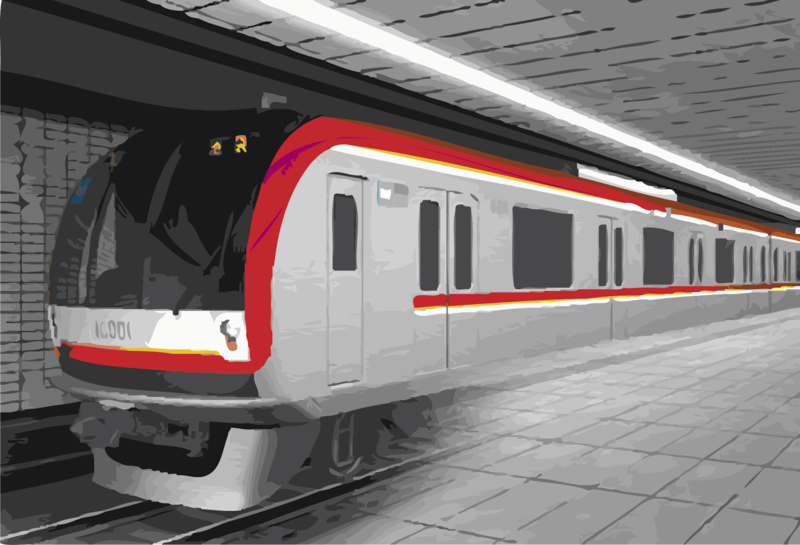 The system consists of four corridors; namely, a main corridor along EDSA, and spur corridors along Ayala Ave. to World Trade Center, Ortigas to Bonifacio Global City, and NAIA terminals. 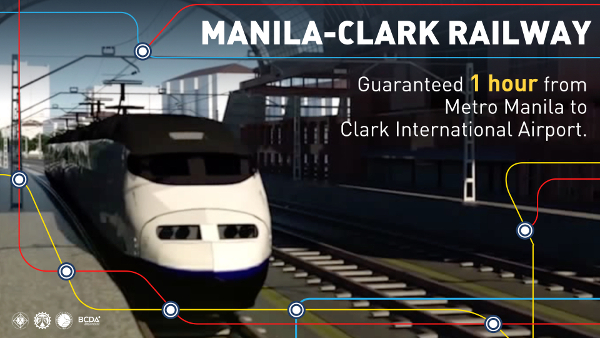 A 105 kilometer segment of the larger 830 kilometer Mindanao Railway network. 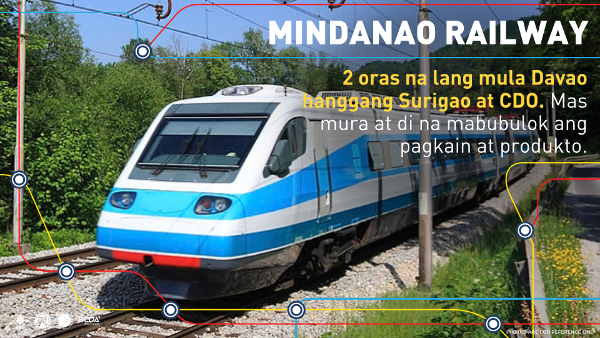 The Mindanao Railway will connect major cities, seaports, economic zones, allowing for faster transportation of passengers and freight. 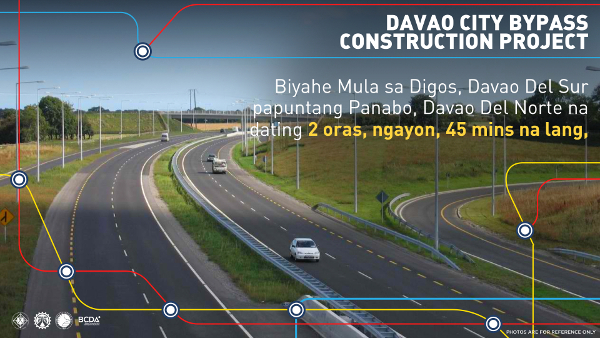 The Tagum-Davao-Digos segment alone is expected to serve over 100,000 passengers daily in its opening year. This list includes Bacolod Airport, Davao Airport, Iloilo Airport, Laguindingan Airport, Bohol Airport, and Puerto Princesa Airport. The project involves construction of new airports in Bohol and Palawan, and the expansion, development and upgrade of the other airports mentioned. Also called Central Spine RORO Alignment Project (CSR), the project aims tp align road and sea linkages through the Roll-on Roll-off system from Batangas Port, Batangas City to Cagayan de Oro. 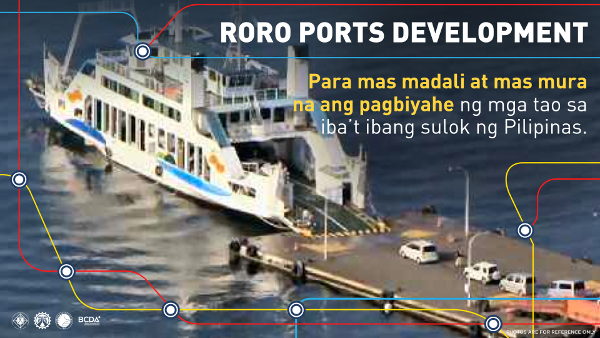 These include RORO ports in Manila, Batangas, Oriental Mindoro, Naga, Aklan, Iloilo, Negros Occidental, Cebu, Bohol, Zamboanga. 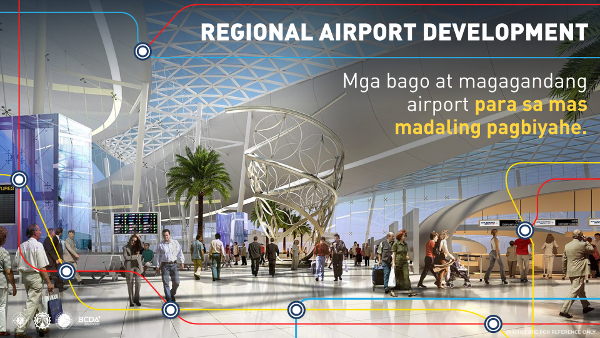 With a proposed capacity of 8 million passengers, the new terminal is expected to decongest Manila-based terminals and encourage Filipinos to use the airport as a viable alternative to the NAIA. 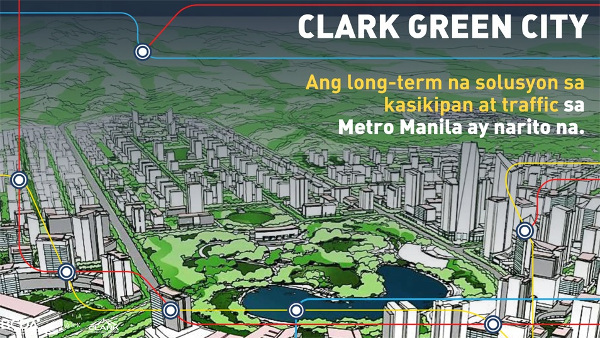 Envisioned to be the country’s first smart, disaster-resilient and green metropolis, the Clark Green City is a 9,450-hectare master planned property within the Clark Special Economic Zone. 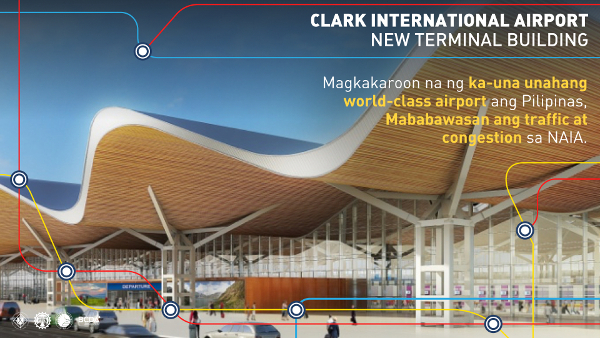 At full development, Clark Green City will have some 1.12 million residents, 800,000 workers and contribute a gross output of approximately P1.57 trillion per year to the national economy. One can arrive at the NAIA airport within 15 minutes from Fort Bonifacio. No traffic and no delay. 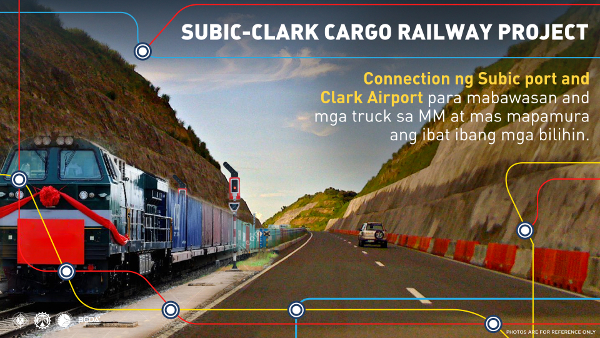 A connection from the Subic port and the Clark airport to reduce the number of cargo and delivery trucks traversing Metro Manila, and in effect, reducing cost of goods. A 25-kilometer underground mass transportation system connecting major business districts and government centers. It is expected to serve around 370,000 passengers per day in its opening year alone. The feasibility study is being conducted with the help of a grant from the Japan International Cooperation Agency (JICA). The acceleration of infrastructure and the development of industries will yield robust growth across the archipelago, create jobs and uplift the lives of Filipinos.